Fourteen percent of Vermonters go hungry on a regular basis; one in four routinely visits a food shelf or meal-service site. Meanwhile, thousands of pounds of edible fruits and vegetables are plowed back into the fields on Vermont farms each year. Morrisville-based Salvation Farms wants to change that. Founded and directed by Theresa Snow, the nonprofit wants to glean agricultural surplus and use it to make Vermont's food systems more resilient. One of its key programs, the 4-year-old Vermont Gleaning Collective, is an umbrella organization of regional independent gleaners. Just last week, Merchants Bank gave Salvation Farms a $5,000 grant — and a public-relations boost — to advance gleaning efforts in the state. Snow said in an announcement that the funds would go toward supporting their website, which aggregates gleaning data and, since 2014, has registered more than 500 volunteers. Gleaning is an ancient practice in which people visit a farm and pick produce that for various reasons can't be sold. This perfectly edible food is then redistributed to nonprofit organizations that feed hungry Vermonters. Farms aren't paid for this second harvest, but hosting gleaners provides farms with free marketing, explains Andrea Solazzo, who does gleaning and community outreach for the Vermont Foodbank. "We're bringing people out to the farms, talking about local agriculture," she says. The Yates Family Orchard in Hinesburg, a two-acre farm run by Jessika and Steven Yates, had Salvation volunteers glean a whopping 32,000 pounds of apples last year. "At the end of the season, we had really minimal waste," says Jessika. "Talking with neighboring orchards, they said they had almost half their crop fall on the ground." Gleaners in the collective distribute food both within their communities and statewide. Snow noted in her announcement last week that, over the past year alone, Vermont gleaners gathered more than 218,000 pounds of crops from 89 farms and distributed it to 70 recipients, including the Vermont Foodbank. That's a lot of produce. And that's good. But for Snow, it's not enough. She would prefer to see surplus crops integrated with the state's food systems in an organized way, from collection through processing and distribution. So she is poised to launch the Vermont Commodity Program and is looking for a director to head it up. The program will clean, process and package crops so that Vermont institutions can more easily get local produce to their clients. To start, Salvation Farms plans to distribute lightly processed food to the Vermont Foodbank and others in the charitable food system. The food is free, and sites pay a small per-pound service fee. Who serves institutional food? Schools, nursing homes, hospitals and prisons. According to research by Farm to Plate, a network of food-industry stakeholders dedicated to strengthening the states food systems, Vermont institutions spend $189 million annually on food, but only $8 million of that locally. There's "huge potential to grow that institutional procurement," says Abbey Willard, the local foods administrator at the Vermont Agency of Agriculture. Originally Snow thought the commodity project would partner with the Department of Corrections. She worked for two years on a pilot program with the Southeast State Correctional Facility in Windsor, where she worked with inmates to clean, grade and process potatoes. But the pilot contract expired last May, and the entire Windsor facility narrowly missed closure. So Salvation Farms regrouped and decided to site the program within a community. In February, the board moved ahead with leasing a space in Winooski in the former quarters of Guild Commissary, which processed meat for the Farmhouse Group. Now a home base for preparing and packaging surplus crops, the facility represents a big step forward in the evolution of Salvation Farms. According to Snow, a key component of the commodity program includes workforce development. The program will run in 16-week cycles, training eight to 10 workers at a time. Workers, Snow predicts, may be refugees, formerly incarcerated people, youth in transition and others. They will receive a stipend, in addition to multiple certifications including workplace safety and safe food handling. This type of workforce development is important "for our vulnerable populations, in order to grow local economies and to have a working population with skills that match our needs," says Stephanie Thompson, a Springfield selectboard member and executive director of the Springfield Prevention Coalition, which helps youth make healthy life choices. 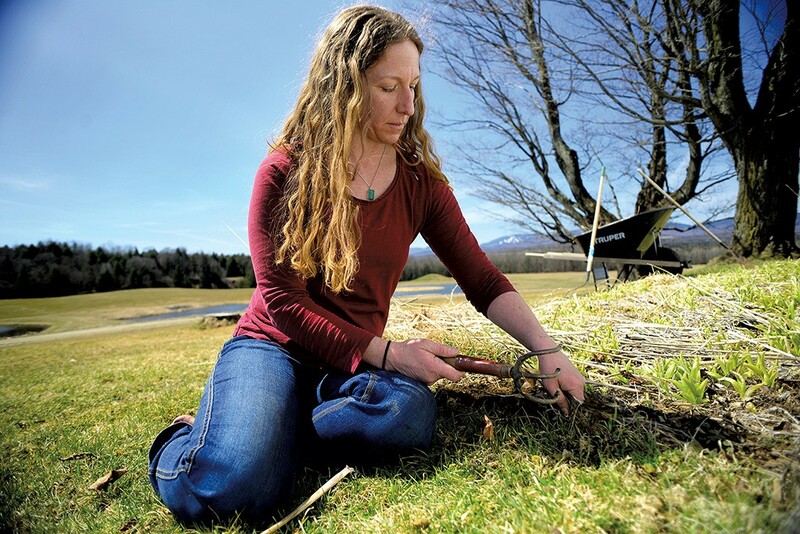 Snow, 37, grew up in Morrisville and attended Sterling College in Craftsbury Common. Her ideas about building food resilience germinated when she studied global food system issues such as seed patenting, subsidized commodity crops and climate change. Though Snow's roots are in rural Vermont, her values crystallized in Manhattan. She had just graduated and joined AmeriCorps when the World Trade Center was destroyed on September 11, 2001. Her first assignment was working with the American Red Cross to provide direct services to individuals who had lost jobs, homes and family members as a result of the terrorist attack. At age 23, Snow was the leader of her young team, working around the clock to help people in crisis. A galvanizing experience for her, she says, was seeing people who had no social safety net endure tragedy: "I didn't want my neighbors to feel as vulnerable or alone as those people [did] when their dominant reality literally crumbled around them." Snow returned to Vermont in November 2001 and went to work at Pete's Greens — the Craftsbury farm owned by Pete Johnson — until 2004. After a brief stint in California, she reached out to Johnson again. Snow says she told her former mentor, "'I want to teach people about food.' He said, 'Well, I have a lot of extra greens.'" Snow gleaned those greens and distributed them to local charitable food organizations, including the Vermont Foodbank and the Lamoille County Food Share. And that year, she launched Salvation Farms. Its goal, she says, was to undermine negative trends in the global food system by building local control. In part, this means building replicable systems. Salvation Farms has always gleaned, for example, but Snow likes to develop tools that other organizations can implement. In 2012, Salvation Farms became an independent nonprofit. That same year, Snow launched the Vermont Gleaning Collective program, which helped organize other small gleaning operations and distribute food more efficiently. That shifted Salvation Farms' focus from the hands-on to the strategic. Since the collective caught on, Snow doesn't do much gleaning herself anymore. Meantime, the Farm to Plate Network is making food access its top priority, according to director Erica Campbell. Farm to Plate's focus is to "get food that is good quality, to rescue that," Campbell says. But while food waste at the retail end is included in the organization's strategic plan, food waste in the fields is not. Snow thinks that's an oversight. "Rescuing prepared foods from the waste stream by picking them up at supermarkets" doesn't help Vermont farmers, she says. For her part, Campbell sees Salvation Farms as a sort of parallel partner. The network doesn't focus on gleaning as a strategy because the collective and similar operations are already rescuing food in fields, she explains. The job of Farm to Plate is to "look for gaps. We've always known Theresa's doing really well" at expanding gleaning programs, Campbell notes. Both organizations recognize the need to make gleaned food easily accessible. One obstacle is that institutions need to work with a reliable source, and gleaned food can be inconsistent, Snow says. She thinks that by having a place where large quantities of gleaned food are peeled, chopped, frozen and made uniform, Salvation Farms' commodity program can make it simpler for institutions to serve local produce. Deb Krempecke is manager of the Lamoille County Food Share, which has partnered with Salvation Farms since 2005. In addition to fresh food, she receives processed and frozen local produce, which is easier to store long term and is healthier than canned vegetables, she notes. "It doesn't have that salt in it. It's very quick to prepare, and it's increased its nutritional value," Krempecke adds. In effect, Snow is nurturing a nonprofit, local, sustainable food cycle that reduces waste and food insecurity. 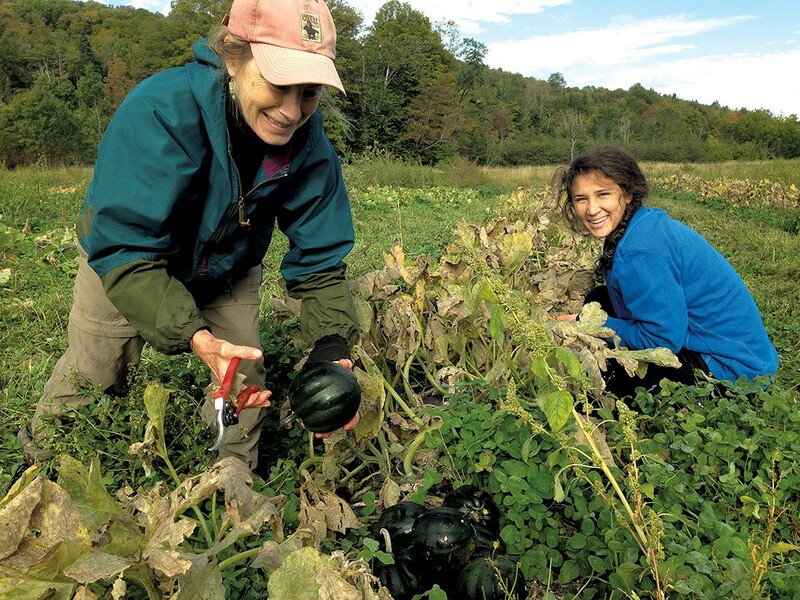 Vermont farmers grow crops, which are gleaned and processed by Vermonters. And, in the end, Vermonters enjoy healthier meals. "When I say [Salvation Farms] is for all of us to have security, this is what I'm talking about," Snow says. "When one of us is vulnerable, we're all vulnerable." The original print version of this article was headlined "Glean Team"